To meet the needs of their customers’ expectations for high quality and cost effective greenhouse coverings, Tyco International invited Lincoln Builders to team with them and their designers to design and construct a new 150,000 square foot facility. 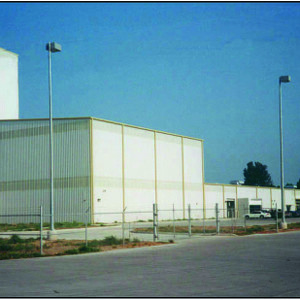 The completion of this state-of-the-art agricultural polyethylene (PE) film manufacturing facility met the owner’s target date for start-up and added to the already more than 500 employees of Tyco in Monroe. "Your performance in accomplishing the work was extraordinary while, at the same time, producing a very high quality product which, of course, required extensive coordination and above all, met the owner's very agressive goals." T. W. Stodghill, Jr., A.I.A.